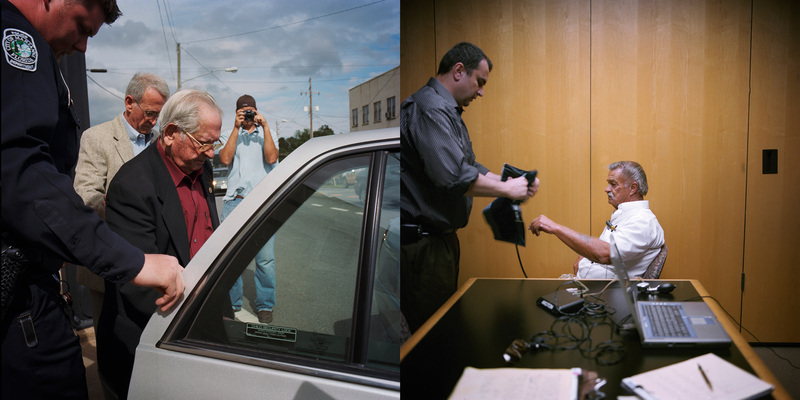 Left: Former Florida School for Boys guard Troy Tidwell leaves a deposition in which he admitted to spanking boys, but denied abusing them. Nearly all of the men who allege abuse at the school in the 1960's and 70's name Tidwell as one of the men who abused them. Right: Troy Tidwell's claims that he never abused boys at the school so infuriated former Florida School for Boys ward Jerry Cooper, 64, that he took a polygraph test to prove he wasn't lying about the abuse he endured. He passed.